For a business process every company always hire qualified and well trained staff. Without professional staff we can’t run our process successfully. But for some reason if there is lack of employees in your company than don’t worry Shining Star Outsource Services Pvt. Ltd. (SSOS) has solution of this problem. You can get support staff services in gurgaon just in a single call from us. We are dominant facility management provider in gurgaon. Working in gurgaon from more than two decades and delivering facility management services in gurgaon. Companies like VIVO India, Concentrix, Mynd Solution, Nextra, Botil, NWCC, SHRM etc. enjoying our services from many years. Many corporate recommend our housekeeping service provider gurgaon. We ensure proper management to improve the performance. You can hire staff for long term as well as short term period according to your need. So call us today & get rid of lack of men power in company. Facility management services are time saver and reduced overhead. For a big organization facility management services are like a magic stick. With the help of facility management services we can decrease the management complexity and improve the efficiency of any process. In fact it’s a small expenditure for big earning. An intelligent Businessman always takes the advantage of facility management services for smoothly driving the business. 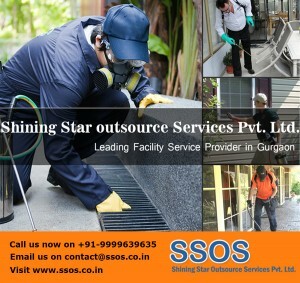 Now it’s your time, take advantage of facility management services in gurgaon with the help of SSOS (Shining Star Outsource Services Pvt. Ltd.). A well recognized Facility Management Company delivering their service successfully from many years. Clients from Govt. as well as private sector are benefited by our services and enjoying burden free life in their offices. We establish a strong relation of trust with client and give 100% satisfaction. Our highly experienced staff makes us No-1. facility management provider in gurgaon. For all type of facility management services SSOS is one-stop solution. For best quotation please call us- +91- 9999639635 or mail us at- contact@ssos.co.in you can also visit to our website www.ssos.co.in for know more about us. Everyone wants a clear and spruce workplace but maintaining sanitation in premises like Shopping Mall, Corporate office, Bank, Hospital and Educational institute is so difficult. Due to large area and huge quantity of workers and visitors we can’t keep it clean with few staff. But don’t worry in your city a reputed Housekeeping service provider gurgaon known as SSOS (Shining Star Outsource Services Pvt. Ltd.) has complete solution of this problem. You can get Housekeeping staff in a single call from our facility management company gurgaon. We have talented staff that can operate any advanced vacuum cleaners and other sweeping equipments without any hassle. They work with dedication to keep your premises clean. Many Govt. as well as private sector clients are availing our housekeeping services gurgaon from many years. Our company delivering facility management services in gurgaon from many decades. We enhance the sanitation level and prominence of you organization at nominal charges. To take advantage of our services in Gurgaon pick up your phone and Dial our Helpline number +91-9999639635 You can write us at- contact@ssos.co.in or visit to- www.ssos.co.in to explore more about us. Are you looking for housekeeping service provider gurgaon ? These are some of the most vital services which are required to maintain flawlessness in the premises. In today’s era Facility management services are inevitable urge of any organization. SSOS (Shining Star Outsource Services Pvt. Ltd.) is esteemed facility management provider in gurgaon fabricates benign customer relation as SSOS is recognized for 100 percent customer satisfaction. We have more than 200+dexterous personnels who will assist you carry out all your facility management related services. Believe us the cost you pay is worth. So why go anywhere else? Get in touch with us and we will provide the best Facility Management Services in Gurgaon. For more queries visit www.ssos.co.in or Call us @ 0124 – 4220923, 9999639635 & get Best quote for all your facility management requirements & needs.